Ever been enticed by a keyless entry lock, commercial type? Do you wish your workplace had a secure and convenient entryway? If you are reading this, you may just be in luck as we have the answer to all your needs. Boulder Lock And Key is a decade old professional locksmith firm that offers foolproof keyless solutions to commercial clients throughout Boulder, CO. Over the years, our competent locksmiths have repaired and installed these locks at banks, offices, hotels, hospitals, and other commercial establishments. Do you have a keyless lock system that is giving you trouble or do you wish to get one implemented at your workplace? Call our team of experts now. Why do you need keyless entry locks? Modern workplaces cannot afford to take security risks as they protect a ton of important data. A keyless system enforces access-based authorization within the company and ensures that personnel who do not have permission cannot enter the property or specific areas within the property. Carrying around an entangled bunch of keys and using big sturdy locks are a thing of the past. A keyless lock system facilitates convenient entry and exit of staff and clients and minimizes needless workload. Almost all modern commercial setups have some form of keyless entry lock system. It is a high-security system that minimizes manual function and can be easily implemented with the help of a professional locksmith. Boulder Lock And Key locksmith experts have years of training in handling various types of advanced digital locks and can implement keyless entry lock, commercial variant, at your premises. Plus, if you are unsure of the technical specifications and need to know how it works, feel free to approach our friendly locksmiths and they will be happy to give you demos and help you choose a lock within your budget range. Do you have a lock system that is not functioning properly? 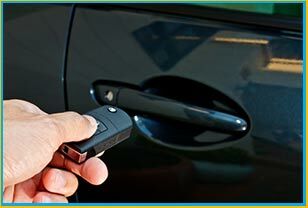 Our locksmith experts offer repair and replacement services and can reprogram them in case there is a bug in the system. Keyless entry locks' commercial viability is the reason why clients all over Boulder, CO area are getting them installed at their workplace. Call our locksmith team on 303-357-8331 and get yours repaired or installed now!